Location : West side of the Slocum’s River, across from the mouth of Peters Creek. 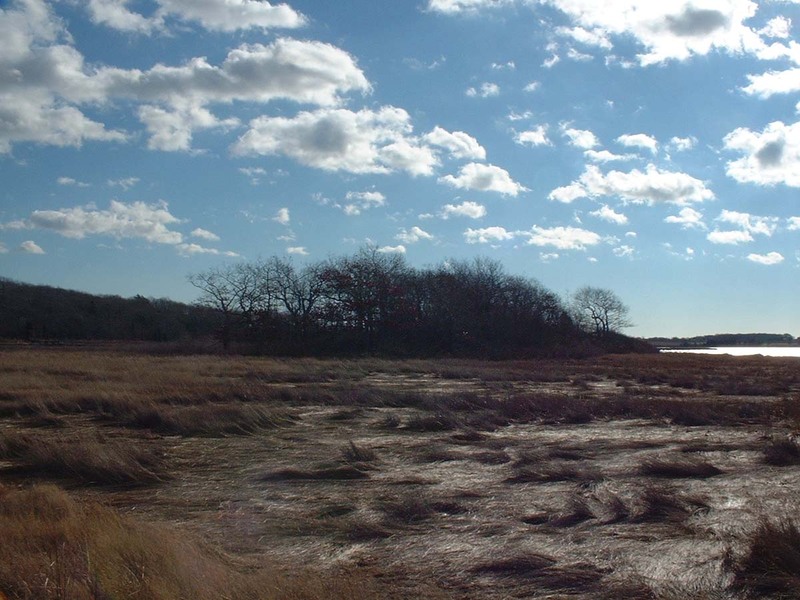 This beautiful, healthy salt marsh on the Slocums River is criss-crossed with man-made drainage channels and tidal creeks draining from the adjacent upland off Horseneck Road. Additionally, it has two upland islands on its western edge. Public access through the Slocum’s River Reserve or by boat. 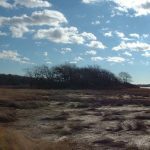 The parking lot for the Slocum’s River Reserve is located on the east side of Horseneck Road about 1 mile south of Russells Mill Village. From the intersection of Faunce Corner Mall Road and Route 6, go south on Old Westport Road, then bear left onto Chase Road to its end. Go right on Russells Mills Road and follow 1 mile to Russells Mills Village. Continue straight through Village and you will be on Horseneck Road.